The SKA Project is now led by the SKA Organisation, a not-for-profit company established in December 2011 to formalise relationships between the international partners and centralise the leadership of this grand endeavour. The history of the SKA begin in September 1993 the International Union of Radio Science (URSI) established the Large Telescope Working Group to begin a worldwide effort to develop the scientific goals and technical specifications for a next generation radio observatory. Subsequent meetings of the working group provided a forum for discussing the technical research required and for mobilising a broad scientific community to cooperate in achieving this common goal. In 1997, eight institutions from six countries (Australia, Canada, China, India, the Netherlands, and the U.S.A.) signed a Memorandum of Agreement to cooperate in a technology study programme leading to a future very large radio telescope. On August 10, 2000, at the International Astronomical Union meeting in Manchester, UK, a Memorandum of Understanding to establish the International Square Kilometre Array Steering Committee (ISSC) was signed by representatives of eleven countries (Australia, Canada, China, Germany, India, Italy, the Netherlands, Poland, Sweden, the United Kingdom, and the United States). This was superseded by a Memorandum of Agreement to Collaborate in the Development of the Square Kilometre Array which came into force on 1 January 2005 and which has been extended until 31 December 2007. This made provision for the expansion of the Steering Committee to 21 members (7 each for Europe, USA, and the Rest of the World) and the establishment of the International SKA Project Office. In 2007, owing to a proposed expansion of the ISPO (International SKA Project Office), the ISSC called for proposals to host the Project Office. Three proposals were received, and following extensive discussion, the ISSC selected the University of Manchester as the host organisation for the Project Office. A Memorandum of Agreement between the ISSC and the University of Manchester was signed in October 2007. The Project Office moved to the new Alan Turing building in Manchester, also home to the Jodrell Bank Centre for Astrophysics, on 1 January 2008. A new International Collaboration Agreement for the SKA Programme was drawn up in 2007, which became effective on 1 January 2008. It was signed by the European, US, and Canadian SKA Consortia, the Australian SKA Coordination Committee, the National Research Foundation in South Africa, the National Astronomical Observatories in China, and the National Centre for Radio Astrophysics in India. This agreement established the SKA Science and Engineering Committee (SSEC) as a replacement to the ISSC. The SSEC acts as the primary forum for interactions and decisions on scientific and technical matters for the SKA among the signatories to the International Collaboration Agreement. A further agreement was drawn up in 2007, a Memorandum of Agreement to establish the SKA Programme Development Office (SPDO). This provided a framework to internationalise the technology development and design effort of the SKA. This agreement, which became effective on 1 January 2008, was signed by the CSIRO Australia Telescope National Facility, University of Calgary, Cornell University, the Joint Institute for VLBI in Europe, and the National Research Foundation in South Africa. It agreed that the SPDO would be funded by signatories of this agreement, with payments being made into the SPDO Common Fund and used to finance the SPDO’s operational activities. The project is now led by the SKA Organisation, a not-for-profit company. The organisation was established in December 2011 to formalise relationships between the international partners and centralise the leadership of the project. 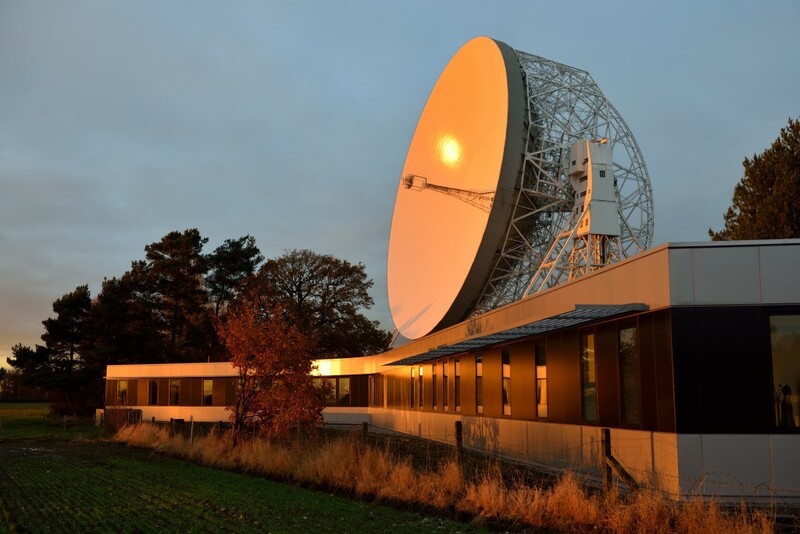 The Office of the SKA Organisation is growing rapidly and in November 2012 the office, previously based at the University of Manchester in the centre of the city, relocated to a new building at the world famous Jodrell Bank Observatory in Cheshire, UK. Who is in the SKA? Click on the link to find out who are the SKA Organisation People.